The Museum and Collection Branca, pride and a wish of the family, was inaugurated June 4th 2009. It it not just a museum that tells the story of the company: it is a place where the objects used in production because expressions, avant-garde communication and testimonials of the relationship with the territory. Hosted in the history production facility in Via Resegone 2 in Milan, the museum occupies a surface of over 100 mq and is the results of 10 years of selection and classification and installation of materials. The result is an emotional collectionof iconographic materials (from the first black and white pictures of the historicbars), signed posters of famous artists (e.s. the Metlicovitz eagle) and sketches of the 1970s and 1980s campaigns. Together with these materials, you can find mortars, distillators and stills. All this gathered in a magical atmosphere created by the aromas of spices and herbs used in production. To highlight the different production areas, a beautiful “herbalist” area, a chemical laboratory for quality and herbal analysis, a carpentry, an office, were set up. On the walls you can admire, among other things, some calendars from 1886 to 1913 and some of promotional billboards signed by Metlicovitz, Cappiello, Jean d’Ylen, Mauzan, Codognato, which testify Branca’s attention to Communication. 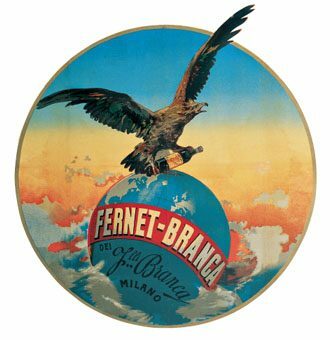 You can also admire bottles of over 60 years of various Branca products (including one of the first ones produced). In the communication area you can see the sketches of some of the advertising campaigns of the ’60s and’ 70s and the famous “Caroselli”. These are testimonials that bring to know the values and traditions of Branca history, a story of which the company is proud and from which still takes inspiration for the future. “The choice to open to the public in 2009, the Branca Collection, housed within the Via Resegone complex, is part of the Branca family’s desire to share the industrial, historical and cultural legacy of the company, also intervening in the territory where it is present . This is how the Branca Collection becomes an expression of the charm of an entrepreneurial history in its dynamic evolution, in the social purpose of enhancing and sharing a cultural asset”. The guided visits to the Branca Museum can be booked on Mondays, Wednesdays and Fridays. The available timetables are during the morning at 10 am o in the afternoon at 15 pm. Each guided visit has a maximum capacity of 25 people. The guided visit will last between 1 hour to 40 minutes. The organization withholds its discretion to confirm the booked visit.